FOIMan rummages through the diplomatic bag to find out how the FOI Act seeks to avoid international incidents. Diplomacy is an essential part of maintaining the UK’s place in the world. It is easy to see why the government would be concerned about the possibility that FOI disclosures might cause offence to foreign powers. However, at the time that FOI was coming into force, the UK’s international relations were under more scrutiny than ever as a result of the recent controversial invasion and ongoing occupation of Iraq. Many of the early decisions involving this exemption related to this significant event. In my time as an FOI Officer, I used this exemption to protect information relating to the London Olympics – the exemption covers relations with international organisations such as the IOC. On another occasion, it was cited to avoid offence to the Chinese government – in relation to attempts to bring pandas to London Zoo. It can be relevant to situations such as establishing and maintaining twinning relationships between towns and cities in the UK and those abroad, as much as it can be to major international conferences and treaties. Any information which if disclosed would or would be likely to prejudice relations between the UK and any other State; international organisation or court; the interests of the UK abroad; the promotion or protection of the UK’s interests abroad. Also confidential information obtained from another State, international organisation or court. 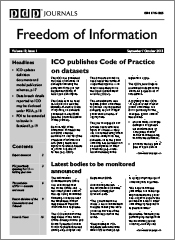 The prejudice claimed must be to the UK, rather than the public authority itself says the ICO. Confidential information from another State remains confidential for as long as the terms on which it was obtained require it to remain confidential, or while the circumstances in which it was obtained make it reasonable for the originator to expect it to remain confidential. There is no requirement that an actionable breach must occur (as with section 41). In effect, s.27(2) – confidential information obtained from another State – is a class exemption – if it is confidential, the exemption applies (para 66 of linked decision). The importance of the issue is not necessarily important, it is the impact on international relations that is relevant – after all, we know that very trivial matters can often cause major disagreements. The fact that information is critical of another State is not enough to justify withholding it; it is how the State is likely to react that is relevant (Wadham, p.122). The culture of another State can be taken into account – for example, the expectations of the Kingdom of Saudi Arabia are likely to be different than the United States government (para 65 of linked decision). When seeking the views of other States, it is advisable to avoid leading questions (para 71 of linked decision). There’s an inherent public interest in avoiding the loss of “international confidence” (para 95). The exemption is subject to a public interest test, so even if the authority can demonstrate that harm will be caused by disclosure, they will need to show why it is in the public interest to withhold the information. Public interest arguments in favour of disclosure include: there is evidence of wrongdoing or corruption; the issue is no longer live (para 119 of linked decision); could help public understand current issues better and inform their input (para 119 of linked decision). FOIMan takes on the military might of the FOI exemption designed to avoid conflict with the UK’s defence. There can be few things more sensitive in government than the defence of the country. It is not surprising that FOI contains an exemption protecting information that might place that defence at risk. There isn’t however, a vast amount of case law in relation to this exemption. Perhaps this is because in many cases when the exemption might be applied, the information also tends to fall under other exemptions. The case law that does exist contends that there is a substantial public interest in information being withheld where the exemption applies. One effect of this exemption is that we are not currently allowed to know whether the government has a ray gun or phaser in development. So we’ll have to wait a while before knowing whether Star Trek’s phasers or the Death Star’s planet destroying capability will become reality. Any information which if disclosed would or would be likely to prejudice the defence of the British Islands or of any colony, or the capability, effectiveness or security of the armed forces, not just of the UK, but also of its allies. The ICO suggests that prejudice in this context means that disclosure might assist an enemy. The exemption covers prejudice not just to UK troops, but also their allies; the ICO’s guidance suggests that this will include formal as well as informal alliances (the guidance mentions as an example the alliance of forces that went into Afghanistan in 2001). Obviously this exemption will most often be used by the Ministry of Defence or its agencies, but the ICO makes clear that other authorities may well have cause to cite it – for example in relation to emergency planning. The ICO suggests that the greater the risk of prejudice, the greater the public interest in withholding the information. There is an exceptionally strong public interest in maintaining the safety and effectiveness of the armed forces (see para 53 of linked Tribunal decision). Authorities can refuse to confirm or deny whether information is held if confirmation would or would be likely to prejudice defence – on one celebrated occasion, the Tribunal upheld the Ministry of Defence’s right not to confirm whether or not it held information on the development of a ray gun! (Or “direct energy weapon” to use the official parlance). Just because it’s about defence matters, it doesn’t mean that disclosure would or would be likely to cause prejudice. The public authority should have explained how disclosure might cause the prejudice in the specific case. There’s always going to be a strong public interest in preserving the safety and effectiveness of the armed forces – so you’ll need a good argument as to why it is in the public interest to disclose the information (see para 69 of the linked Tribunal decision). The ICO guidance on section 26 suggests that arguments in favour of disclosure will include: furthering public understanding and participation; promoting transparency and accountability in relation to decisions and spending; revealing health and safety issues. 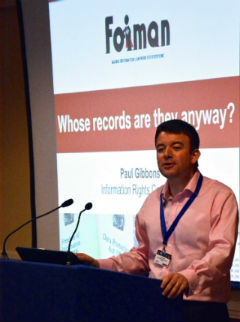 Paul Gibbons is delivering a new workshop for Act Now Training this Autumn looking at all of the FOI Exemptions – visit the Act Now Training website for further details. FOIMan goes undercover to examine the FOI exemptions designed to protect national security. Evil henchman: shall I torture 007 a little more? 007: I won’t talk you know! Evil head honcho: I don’t need you to, Mr Bond. I’m just writing this FOI request to the foreign office. You’ll find your M will squawk like a canary faced with the power of whatdotheyknow.com! Bond: You’re twisted! What kind of sick mind would make a freedom of information request anyway? Bond, as we know, is fiction. Anyone seeking information on national security matters is unlikely to get very much as a result of an FOI request. They are protected by 0023 and 0024, twins working together to protect the British State. And if they get into trouble, there’s always M to back them up – the Ministerial Certificate that can be issued under section 25 of the Act. Any information directly or indirectly supplied to a public authority by a security body listed at s.23(3) of the Act, or any information relating to those bodies, is subject to the section 23 exemption. If information not falling within s.23 is required to be withheld for the purpose of safeguarding national security it is covered by section 24. That list of bodies can change – the National Crime Agency has been added since the Act was passed. It is a class exemption – so no need to consider whether any prejudice will be caused – merely whether it was supplied by, or relates to, any of the listed bodies. If it is more likely than not that the information relates to a security body, the exemption will be engaged. Public authorities can refuse to confirm or deny the existence of information provided by or relating to the listed bodies – as long as they can demonstrate that it is more likely than not that any such information would be supplied by such a body if it did exist. If the part of the exemption preventing disclosure applies, then section 24 cannot be cited in addition. 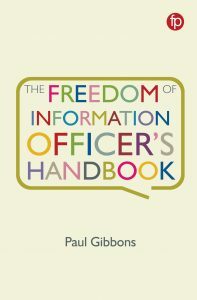 If the authority chooses to neither confirm nor deny whether information is held, the Commissioner suggests that the equivalent part of section 24 can be used as well, if relevant (though Wadham queries the validity of this). This exemption is not subject to a public interest test – for most of its life. However, once the information becomes historical (ie older than 20 years from 2020 onwards), the exemption becomes qualified. the definition of “national security” was explored in Norman Baker v IC & Cabinet Office, where the definition from a House of Lords case was adopted. This exemption is subject to a public interest test. If the consequences of disclosure are particularly severe, then there will be a strong public interest in withholding the information even if there is a low risk that they would come to pass. Public authorities can neither confirm nor deny whether they hold information if required to safeguard national security. For practical reasons, both exemptions can be cited in these circumstances (though Wadham queries this). Members of the Cabinet, the Attorney General, the Advocate General for Scotland and the Attorney General for Northern Ireland can issue a ministerial certificate certifying that either exemption applies. A certificate doesn’t have to be issued for section 23 or section 24 to apply. The certificate must bear the minister’s signature. For section 24, a certificate will contain a general description of the information covered. You will need strong arguments to overturn the use of these exemptions. Section 24 is subject to a public interest test – this is the likeliest area of a successful appeal. The Information Commissioner comments that public authorities should not seek to turn section 24 into an absolute exemption despite the strong public interest in protecting national security. The fact that section 23 becomes subject to a public interest test when records become historical suggests that age may well be a strong factor with these exemptions. It may be slightly easier to argue for disclosure of information relating to events several decades ago than more recent matters. FOIMan looks at the topical – and controversial – exemption in FOI that is designed to protect a “safe space” in central government. It is vital that we get back to the founding principles of freedom of information. Citizens should have access to data and they should know what is done in their name and about the money that is spent in their name, but it is also vital that the conversations between Ministers and civil servants are protected in the interests of good government. So said Michael Gove, Secretary of State for Justice, in the House of Commons on 23 June 2015. Since then responsibility for FOI has passed to the Cabinet Office, but the announcement of a Commission to review FOI, and its terms of reference, have made clear that the above remains an objective of the current government. Their primary concern is the availability of a safe space for government deliberations. Information held by a government department or by the National Assembly for Wales relating to formulation or development of government policy, Ministerial communications, the provision of advice by any of the Law Officers or any request for the provision of their advice, or the operation of any Ministerial private office. arguments that have worked in the past include: there is still a need for a “private space” on the policy decision because it has not yet been taken; it would expose the relationship between civil servants and ministers to an unhelpful degree of scrutiny and this is argued convincingly by an expert; could affect Ministers’ inclination to seek and rely on formal advice; frankness of comments; the issue is still live; reveals how Cabinet ministers’ views contributed to the development of a policy. Successful arguments include: promotion of better government (s.36 decision but still useful); level of public concern with a policy; the public better understanding the way that senior officials make decisions; the time has passed so sensitivity is not so great; comments are not particularly frank; where some information has been voluntarily published, there can be a public interest in further information being disclosed.